To begin, build an emergency preparedness kit. Know the surroundings of your home, like what can potentially cause damage to your property, or which routes you can take in case you need to evacuate. Repair any leaks in the home, no matter how small. If you suspect a leak, call a leak detection company, which should be able to tell you for sure. Discover how elevated the property is, and if the land is prone to flooding. If the property is on low-lying land, locate higher-ground for safety in the event of serious flooding. This can help you understand how the property will be affected by storm surge, or tidal flooding. Know if there are any levees or dams in the area, and how they can threaten the property. Cover all glass openings to your home like windows or doors. Storm shutters provide the best protection for windows, while a second option is to use thick ply wood. In the event of a storm, hardware stores and home supply shops will have wood pre-cut and ready to install. Tape will not stop windows from breaking, but it will stop glass from flying all over the room if the windows do break. Install straps or clips to secure the roof to the frame structure of the home. Reinforce the garage door, as wind entering a garage can cause dangerous and expensive structural damage. Plan to bring in all loose outdoor furniture, decorations, or other common outdoor objects. Anything to big to bring in should be tied down securely. If ordered to evacuate, you should leave well in advance to the storm making landfall. If you were unable to evacuate for some reason, monitor radio or the television for weather conditions as well as updates. Even if the storm seems to have subsided, do not go outside. The eye of the storm, which, as it passes, may seem like the storm has ended, can pass very quickly. Nobody should be outside during a hurricane. Avoid all windows and doors, and seek shelter in the bathroom, or another windowless room. If your home is severely damaged, evacuate to a shelter, or a neighbor’s house. Never leave your home while the storm is raging on outside. If the power goes out, turn off and unplug all major appliances to reduce the chances of a dangerous and damaging power surge. Aside from unplugging major appliances, do not handle electrical equipment, and do not use telephones, except in an emergency. Regardless of where you are, you should unplug all appliances and electronics, and remove fuses from A/C units in the event of a power surge. Once the hurricane has passed, and the authorities have administered an all clear message, check that family, neighbors, and friends are okay. Photograph damage that has happened to the home for insurance purposes. When the power has returned to your home, do not turn on all of the major appliances at once. Instead, to avoid damaging sensitive equipment, turn on the major appliances one at a time, with a few minutes in between turning on each appliance. If you see any downed or loose power lines, avoid them at all costs, and alert the local authorities. In Florida,report any downed power lines to FPL. From a safe distance, call 1-800-4-OUTAGE (1-800-468-8243) to report downed power lines. Remember to never use a generator inside, no matter how much ventilation there is. This also applies to garages, basements, and crawl spaces. The fumes let off by generators contain high levels of deadly carbon monoxide that can make a person very sick, or even kill them, when inhaled. When outside, keep the generator away from doors and windows, and at least 10 feet away from your home. Allow the generator time to cool down before refueling it, as pouring gasoline on hot generator parts can lead to fire. If any appliances, electrical or gas, have become wet, do not use them. These items are hazardous when wet, and can lead to intense electric shock or fire. Also, do not burn charcoal indoors. Charcoal produces high levels of carbon monoxide that can be lethal in enclosed places. If there are small damages you could fix yourself, attend to them. Open holes in the roof, or broken windows, can allow further damages to occur inside the home. Hurricanes can be seriously dangerous to humans, animals, and properties. The best way to avoid damages is to know the dangers a hurricane can bring. Follow these tips to avoid these damages, and pass them on to your family and friends. This will give you peace of mind in knowing that none of your family, friends, or neighbors is uneducated on what to do before, during and after a hurricane. 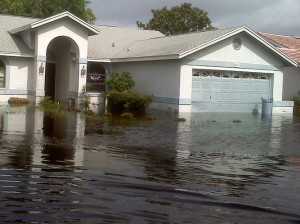 Restoration USA is a disaster restoration company located in Pompano Beach. With over 25 years of combined experience and expertise in Florida, Restoration USA knows hurricanes. Whether you want to make sure your home is prepared for the storm, or you want to know who to call after the storm, Restoration USA is here for you. We perform leak detection and mold removal, as well as water extraction and water damage repair. Want to see if your home is ready for a storm? Call (866) 745-6428 or visit online at http://www.restorationusa.com and ask for a free hurricane readiness home evaluation.